When winter started last year, I shared a fun little post full of books with some kind of winter theme. It was so much to put together, and even, more fun to see what everyone else came up with. 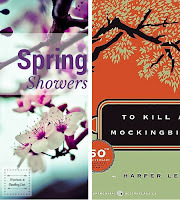 I had hoped to get a Spring list put together for when Spring began, but somehow it did not happen. Well, never fear because I have pulled it together now! Here is the deal, below you will find six categories that fit spring, and a book for each category that I picked. Now this does not mean I am recommending the book, just that it the category. The fun part is, after you check out my list, you get to create your own! Just copy the categories and add your book. It's so easy because you can pick books based on the cover, other's recommendations, or even books you read years ago (to be honest, I'd love to see someone do the entire list with only board books...). Spring Showers: What would spring be without the life-giving showers that are a sure sign that spring is here? Share a book that is a quick read and sure to lift your spirits. 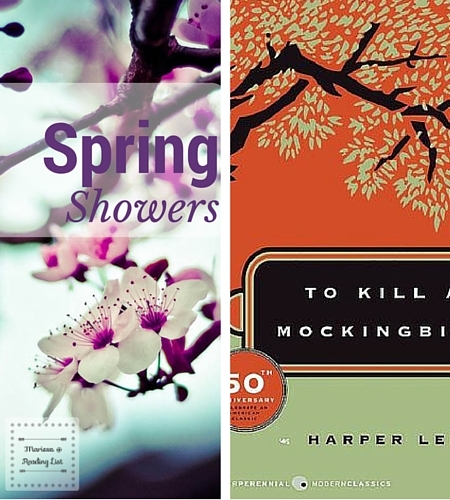 For me, spring showers mean quick bouts of rain that leave the world smelling and looking better, so I am going with To Kill a Mockingbird. There might be a few scenes that are harder to read, but overall you can't keep a frown on your face after this one. 2. Colorful Flowers: After the showers come beautiful flowers of all colors. 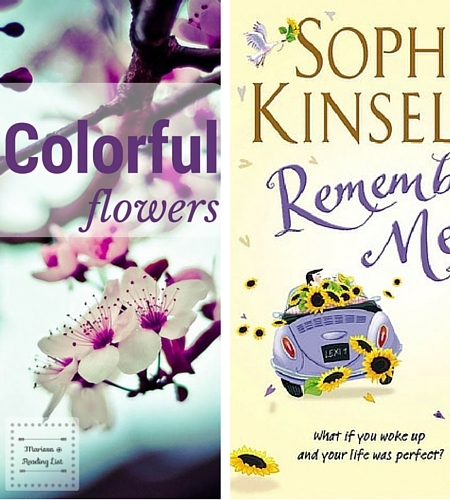 Pick a book that has a pretty flower or floral pattern somewhere on the cover. While tulips and lilies certainly are gorgeous in spring, the bright yellow of daisies and sunflowers are what I wait for. So I have to with Remember Me? on this one - granted it might not be Sophie Kinsella's best book, but the flowers just jump right out no matter the edition. 3. Shades of Green: Between the grass, the leaves on the trees, and all of the new flowers, there are so many shades of green everywhere in spring. Can you think of a book that is driven by conflict over money? 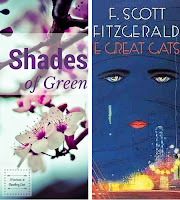 The Great Gatsby is full of money themes - the lavish lifestyle is only possible with obscene amounts of money. Moreover, the issue of materialism makes this book extremely relevant today. 4. 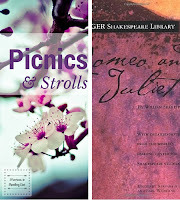 Picnics & Strolls in the Park: After months of being stuck inside there is nothing like an escape to the park. Share a book that has an iconic scene in a park - or at least a book that has a scene in a park that was vivid to you. I could list so many for this one... but I'm going with Romeo & Juliet. Who doesn't remember the scene with Romeo in the garden outside of Juliet's window? 5. 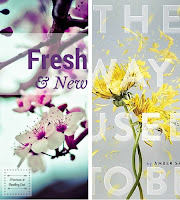 All Things Fresh & New: Spring is the season for new, share a book that has caught your eye this season and is brand new - even if you haven't read it yet, or might not ever! Everywhere I look I see The Way I Used to Be. While I haven't found the time to read this one, I am sure I will as the topic is so important for women today, and it is getting excellent reviews. 6. Running Shoes, Flip-flops, Sandals, Rain boots: You have to admit the selection for footwear goes up significantly in the Spring. 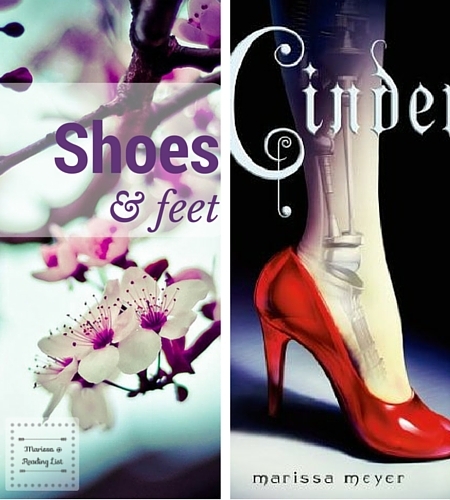 Pick a book that showcases a foot or shoe on the cover. 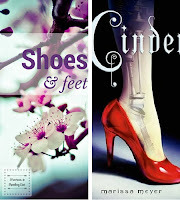 The first book that came to mind is Cinder - that cyborg foot with a bright red pump... I mean how can you forget such a cover? Now it's your turn! 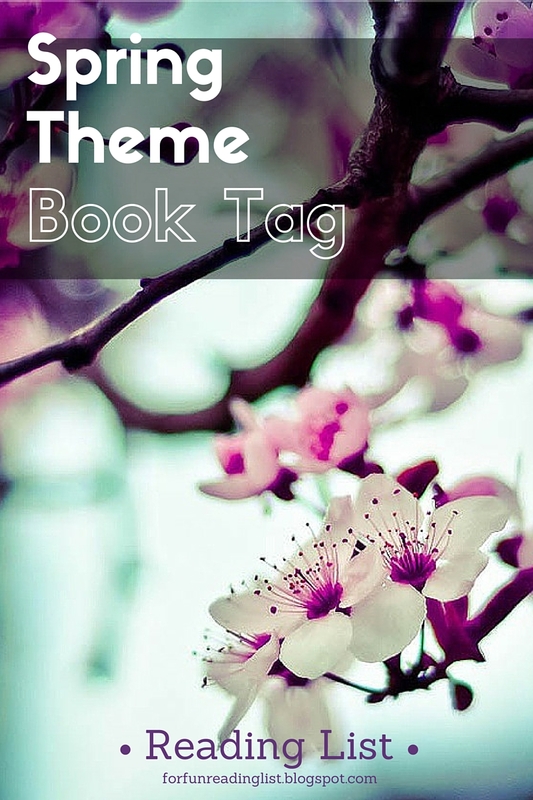 Feel free to copy the categories above, and create your own tag post. Don't forget to tell those you tag to join in the fun!